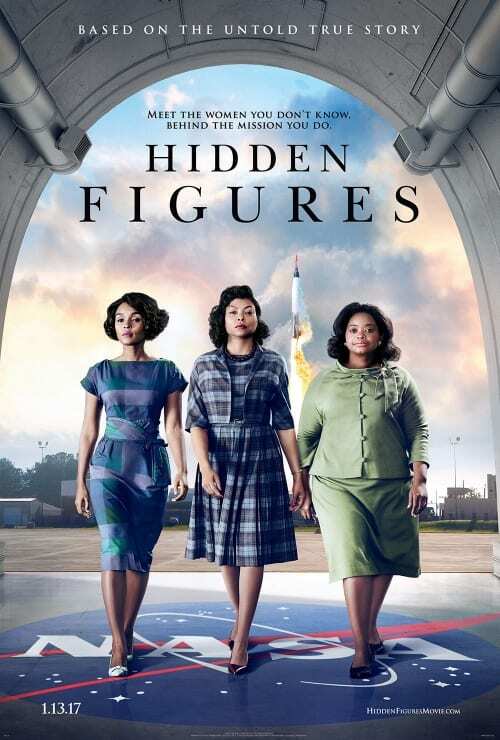 As a researcher with interest in how women and girls find space in STEM environments, I have been thinking about how “Hidden Figures” and many daily and educational experiences might affect girls who are not math confident. Many parents–black parents in particular–will bring their daughters to the movies to inspire them about what is possible in STEM – science, technology, engineering, and math. However, there can be a disconnect between what parents and daughters take away from the movie. Imagine taking your daughter and her friend to see “Hidden Figures, ” and you swell with so much pride that tears form in your eyes the first time the Katherine Johnson character climbs the ladder to write out equations on the chalkboard. After the movie, the girls talk about their favorite scenes: When Glen refuses to go into orbit until Katherine checked the numbers and when Katherine schooled her future husband about the female roles at NASA. They commented on the costumes too. But when they’re asked about the characters jobs as high-level mathematicians, they say: “I could never do that. A response you are not expecting. Why? Because when you looked at the screen, you saw Black Girl Magic—black women “doing their thing” using computer science, engineering, and math. But your daughter and her friend saw a black woman doing math. This is what happened with a mother I know who excitedly took her daughter to see “Hidden Figures.” Her pre-teen struggles with math and spends hours after school getting assistance from her teacher. The mother also pays for expensive private tutoring. But for all the support she gets, math continues to be a struggle. The daughter reads voraciously, makes lovely crafts, loves to cook, and enjoys creating using chemistry. Math is just not her thing. And that’s okay. This past summer, I had the pleasure of attending the “Math Wiz Games” created by seventh grader Amina Anekwe and sponsored by the GrassRoots Community Foundation. Amina created the event to help girls become more confident in math. She was inspired when an educational experience challenged her math confidence. The “Math Wiz Games” were amazing! But in talking to the girls (and their parents), I could see that each girl experiences math differently. Vern, one of the fathers at the games, described his family as math confident. His daughter Jewel said she prefers adding and multiplication to division and subtraction. “Numbers getting smaller in my head feels weird,” she said. Alexis, like Jewel, prefers adding to subtraction and says she’s a ‘little bit’ math confident. Her mother just completed a degree in applied science and technology. But even she doesn’t feel confident with all math, “I can work with the numbers” she said, “but cos(ine) and tan(gent)?” Not so much. I am a mathematician who also prefers numbers over the more abstract concepts of mathematics. The winner of the “Math Wiz Games” was Nina – a first grader who likes math “but not when it is 102+102.” She likes math problems “like 10+5 then you take away something.“ When I asked how she felt about winning, she said: “I feel really proud of myself.” Her mother said Nina has always been about order and has expressed an interest in being an engineer, like Mary Jackson, the character played by Janelle Monae in the movie. My conversations with the girls and parents reminded me that math ability is not a “good/not good” binary, but rather a scale with basic arithmetic and fractions at one end and abstract algebra and real analysis at the other. Different people will find their math confidence at different places on the scale. It troubles me that math has become the metric for being “gifted” or “smart.”” As if the ability to string words together to articulate your thoughts and awaken the reader’s imagination is not a sign of “genius.” It is the brilliant prose of Margaret Lee Shetterly that brought the stories of Katherine, Dorothy, and Mary to the public’s attention in the Hidden Figures book. It is the lyrical creativity of Lin Manuel Miranda that brought the Revolutionary War history to life in the Tony-winning play “Hamilton.” MacArthur Fellowships—so-called “genius grants”—are given to writers, composers, artists, playwrights, linguists, lawyers, and historians, as well as to scientists and mathematicians. Math, computer science, and engineering were the paths by which Katherine, Dorothy, and Mary became competent, capable and confident. Lisa Maxwell, Amina’s mother, wants Amina and the girls who attended the Math Wiz Games to feel competent, capable and confident in their math ability. But girls should feel competent, capable and confident in whatever arena they choose. So as you plan summer activities for your daughters, choose activities that inspire her to find her own path to becoming competent, capable and confident. STEM isn’t the only path. Rhonda Vonshay Sharpe is the President and Founder of the Women’s Institute of Science, Equity and Race.